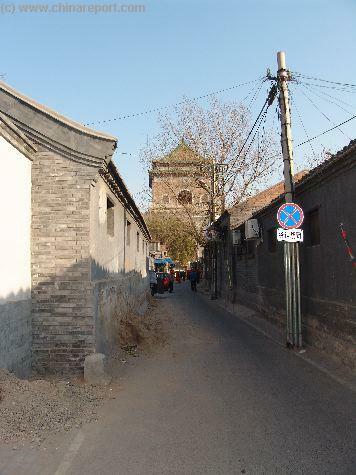 Welcome to China Report's Digital Introduction to the Bell Tower of the Old City of Beijing. 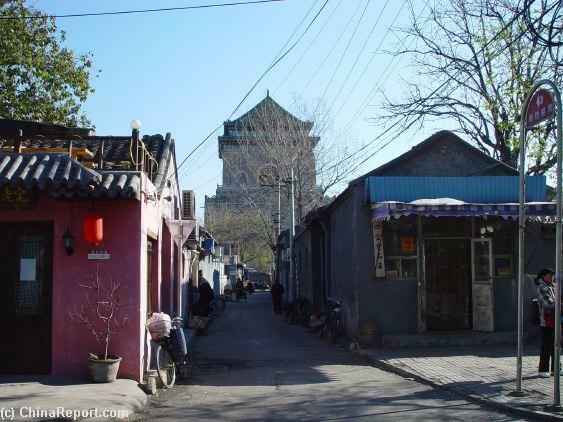 The Bell Tower , together with the adjacent Drum Tower are located in the North North-Western DongCheng district. 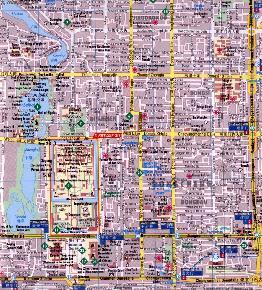 The new situation west of Bell Tower. 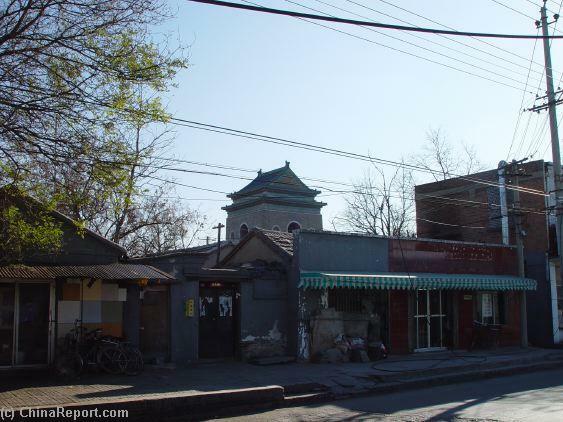 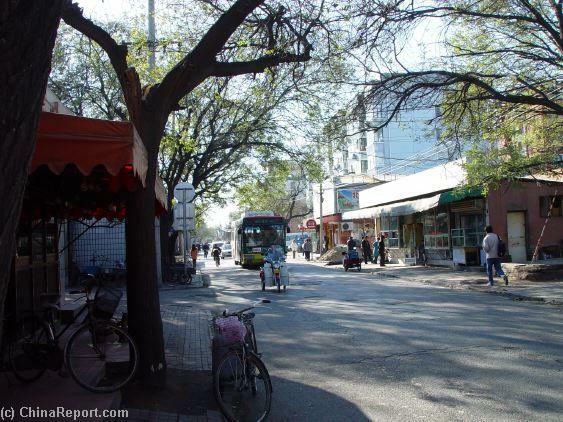 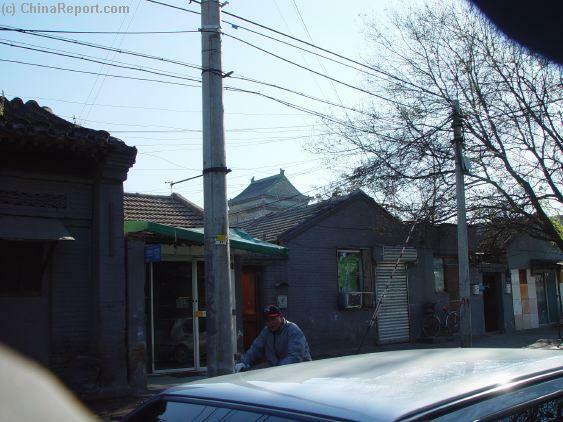 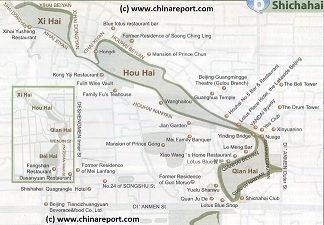 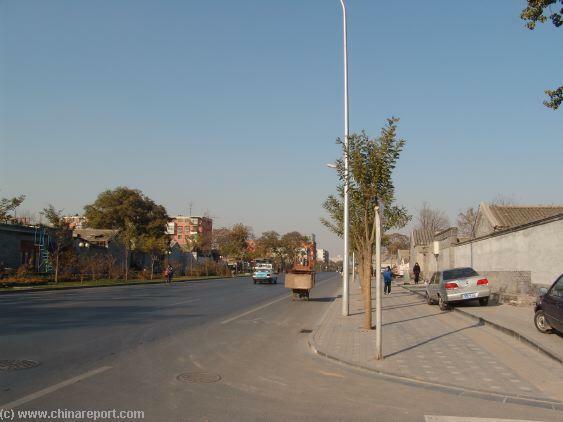 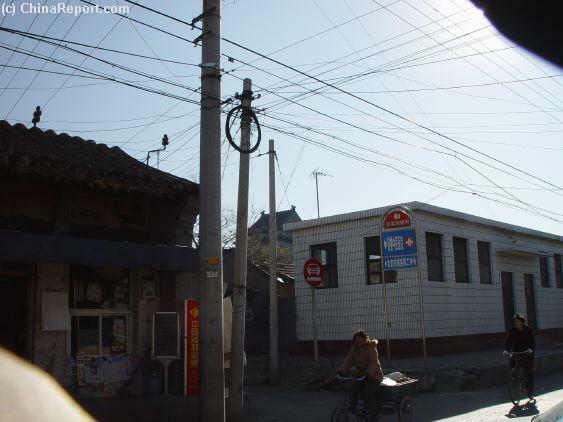 Old decrepid hutong have been replaced by a widened boulevard and neighboring hutong modernized and (partially) rebuilt.